One often hears about the wonders of Japanese toilets. The heated seats. The fancy electric bidet with settings to wash all your parts from different angles and tinkly music to cover up the sound of your actual tinkling. Lids that open and close with the touch of a button. Et cetera. 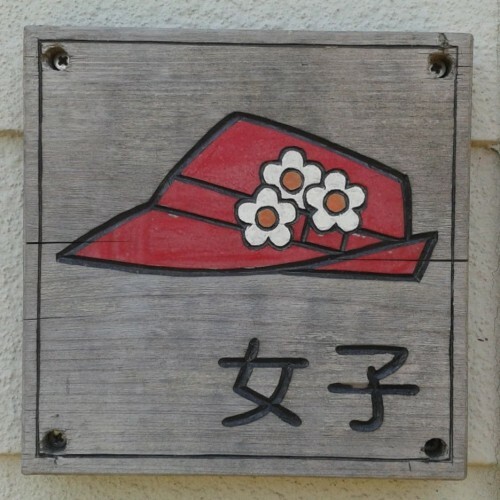 I’m here to tell you about the wonders of ladies’ rooms in Japan. I had never thought about it before, but I’m fairly certain that most ladies’ rooms I have used in my life were designed by men. 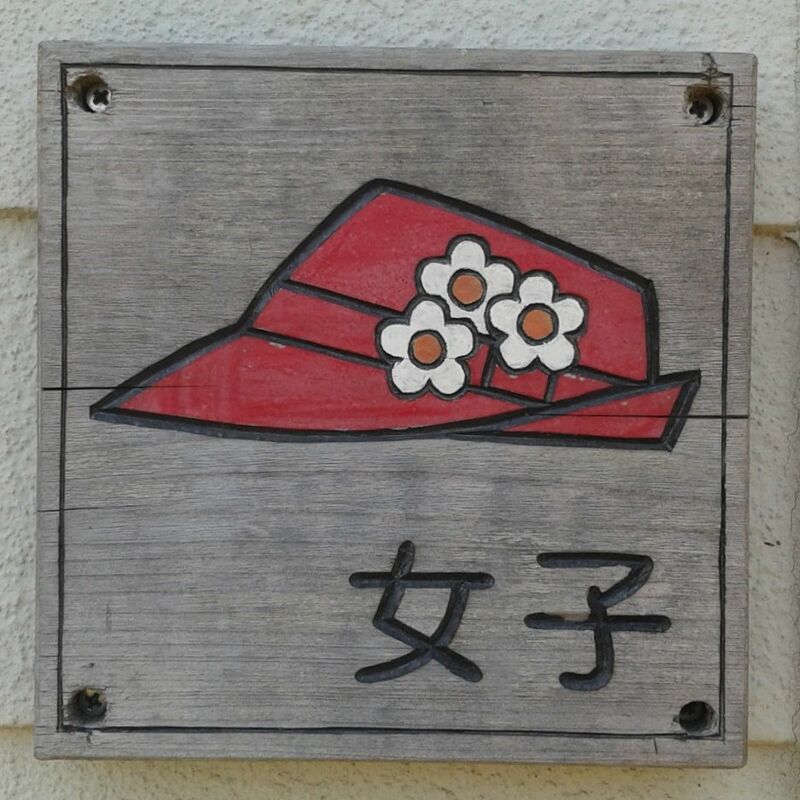 Ladies’ rooms in Japan are full of tiny details that take into account what happens when ladies go to the ladies’ room. Have you ever thought about what happens when a lady with a baby strapped to her chest in a carrier needs to pee? I have traveled with my sister and her baby and it takes a certain amount of experience to do your business in this situation. Or what about when you’re by yourself with your baby in a stroller? Do you leave the stroller outside the restroom with the baby in it? Ask a stranger to keep an eye on your baby? 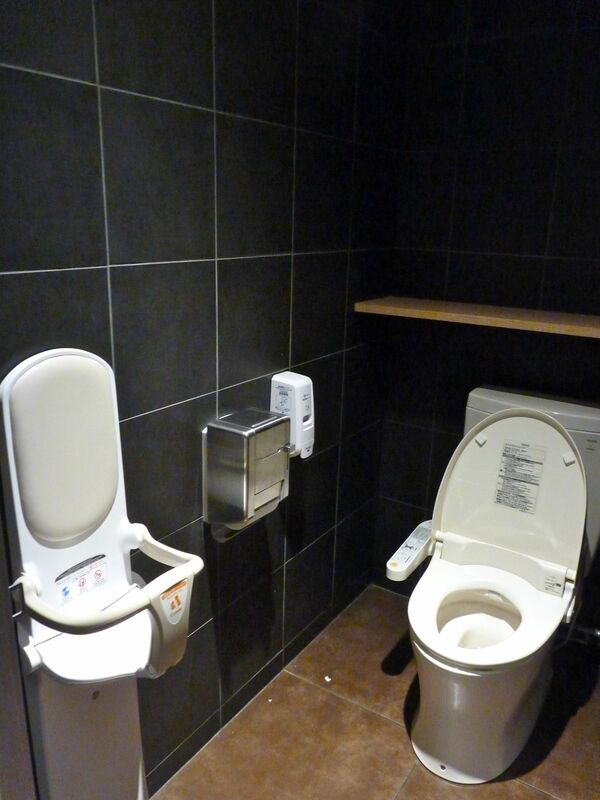 The Japanese have solved it: baby seat in the restroom. 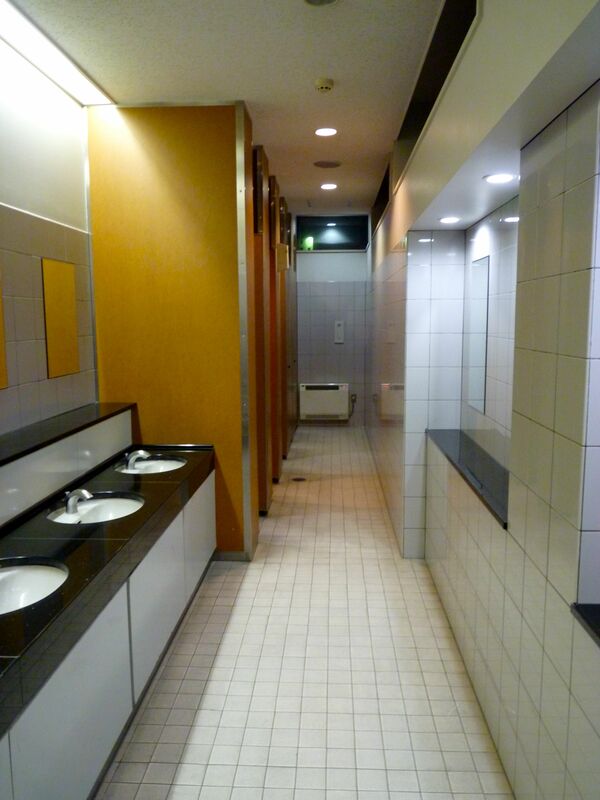 The Japanese offer a solution: little-boy sized urinals in all the ladies’ rooms. 3) Ladies like to put their bags down to use the sink. If you’re a lady, you’re familiar with the issue of where to put your handbag while you wash your hands, or to get out some make-up or your toothbrush. If the bag is on your shoulder, it sort of swings forward and gets in the way while you try to wash your hands. Often the countertop is all wet from the previous hand-washers, so you don’t want to put your bag there. I saw two different possible solutions in Japan: a small hook near the sink to hang your bag or a double-countertop so that even if the immediate sink area was all wet, there was another ledge either above or below the sink that stayed dry. No wet handbags. 4) Ladies like to preen. Of course, a hole in the ground is sufficient and functional. 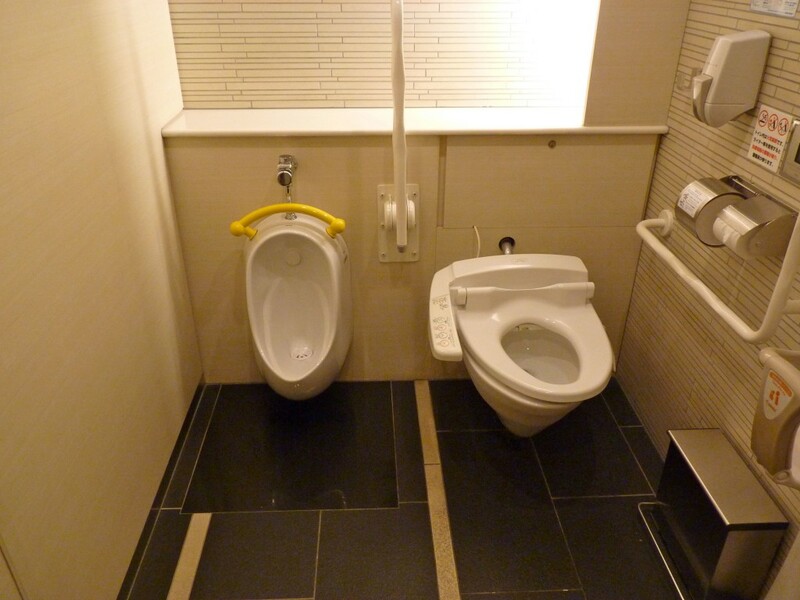 Fear not, the squat toilet is alive and well even in Japan. But if you’re going to go to the trouble of putting in a ladies’ room, why not do it right? Four simple details, millions of happy ladies.